A versatile string group for string players of Grade 2 – 4 standard. 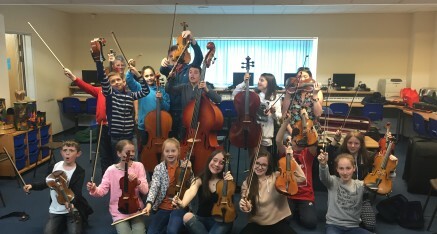 Led by an expert team of specialist string tutors; students will develop their all-round musical skills through small and large group playing on acoustic and electric strings; and experience a range of different musical activities. If you have any queries or would like to be kept up to date with news relating to this course, please drop us an email – we will respond to you as soon as we can, and we will add you to our general mailing list.